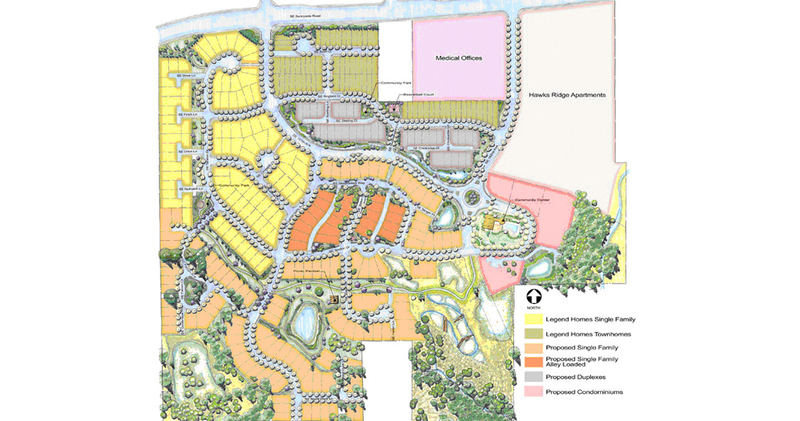 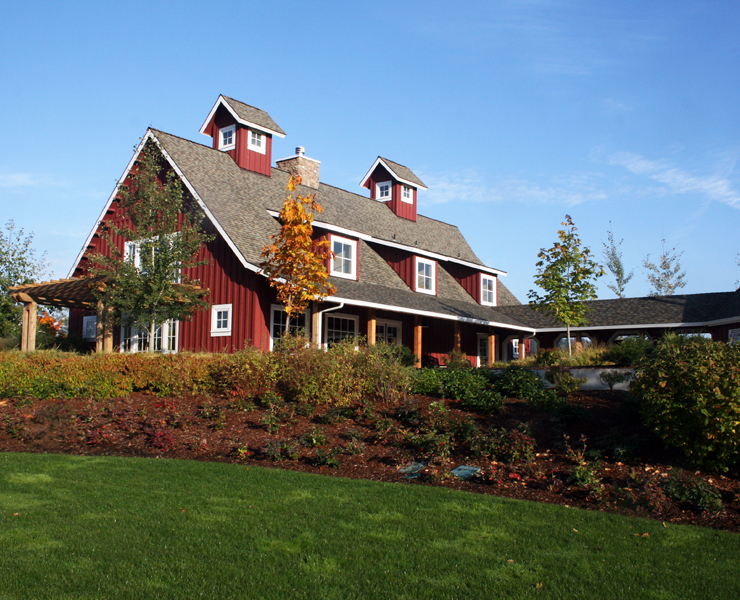 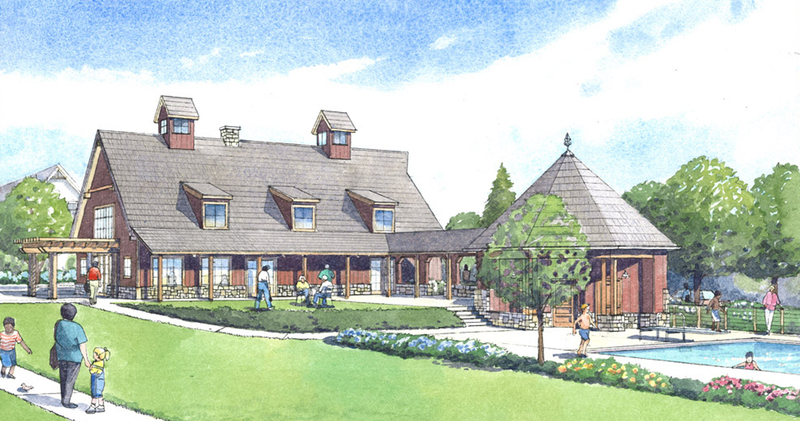 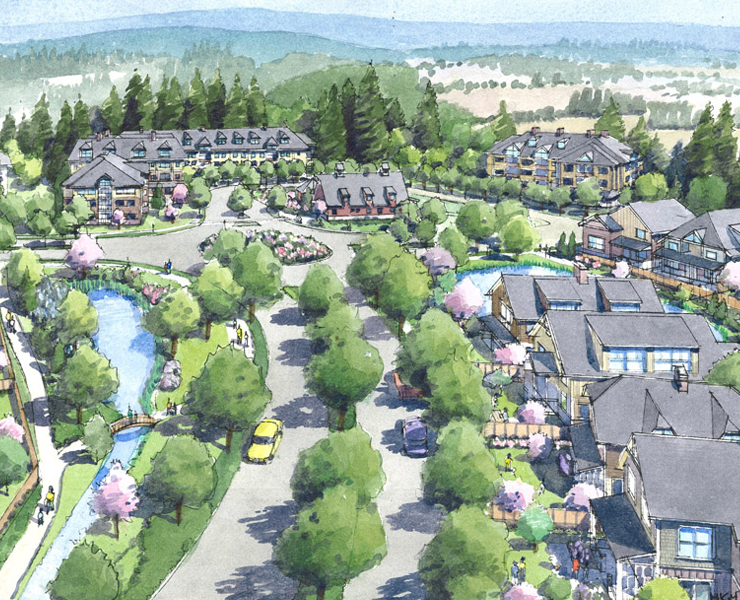 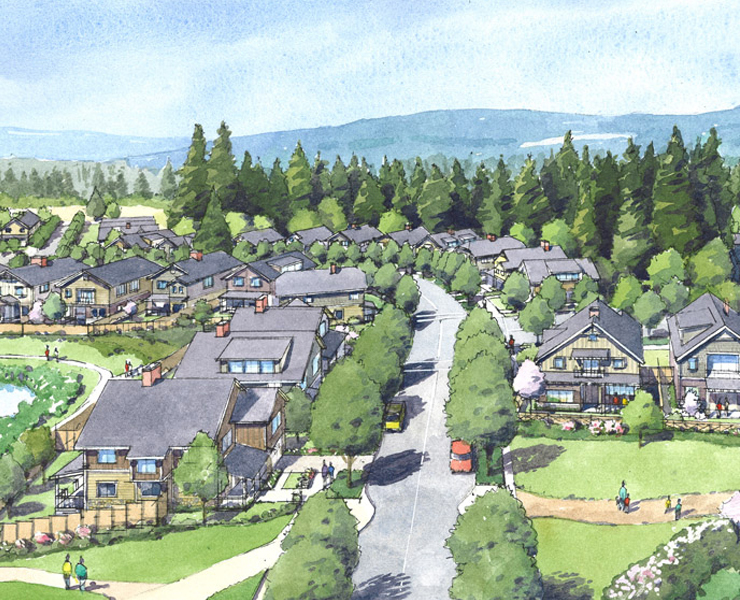 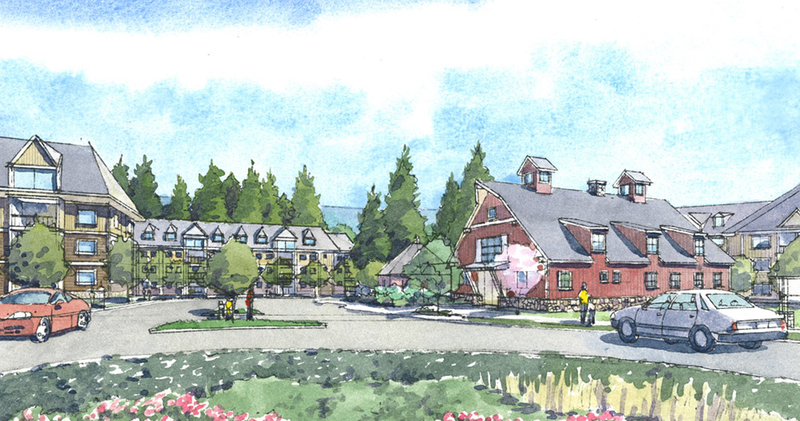 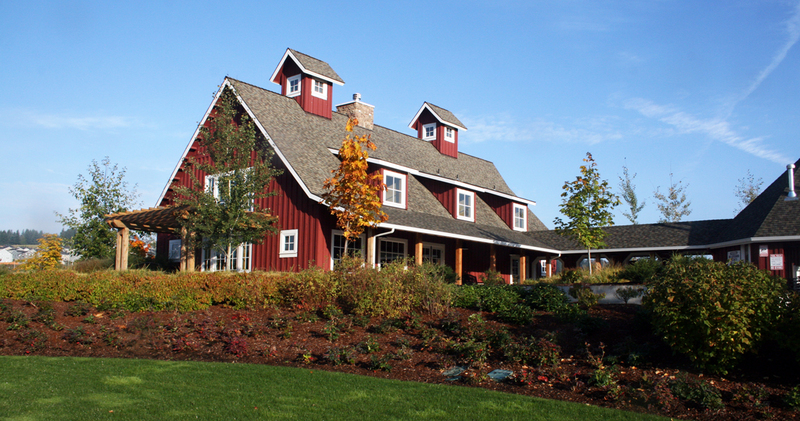 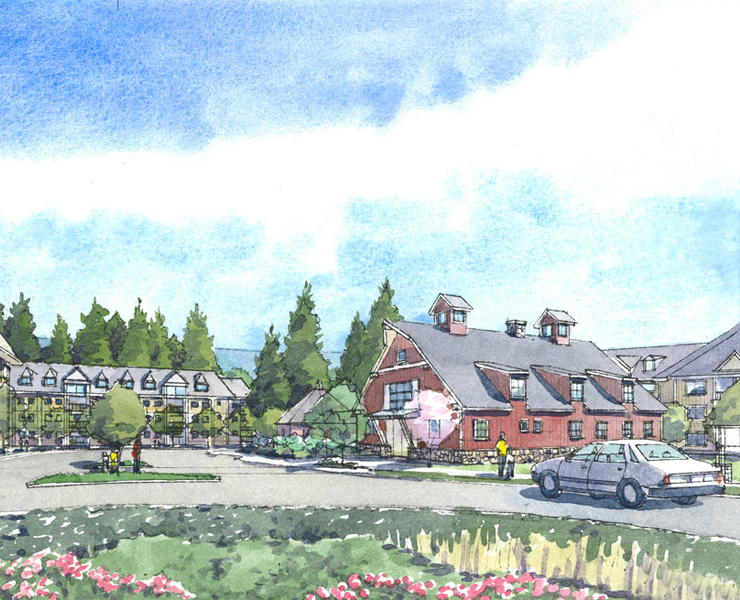 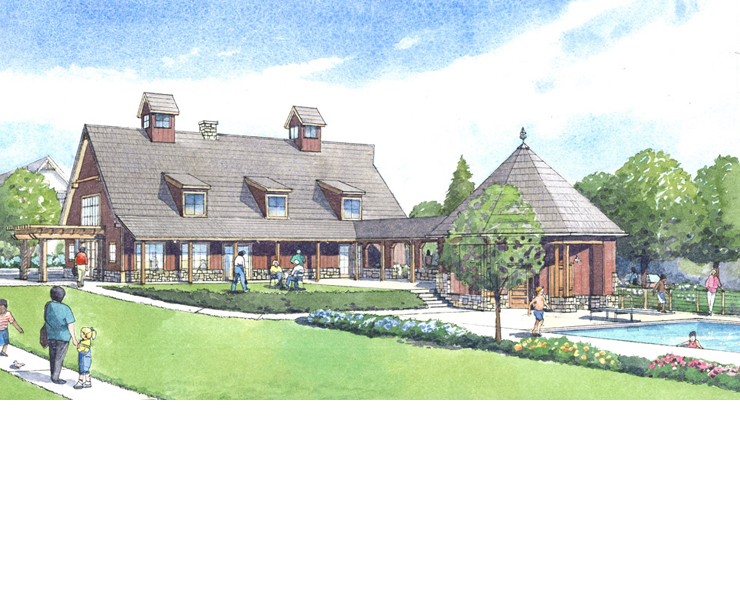 Taralon is a 97-acre development by Newland Communities located in Happy Valley, Oregon. 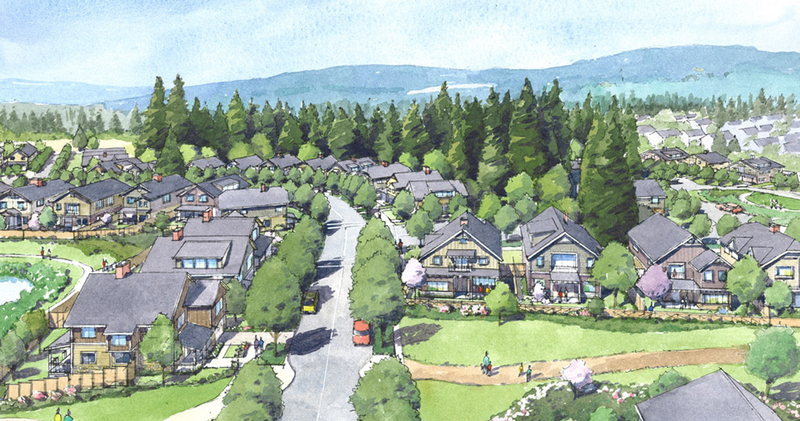 Opsis is leading the masterplaning process and the design of the common community buildings. 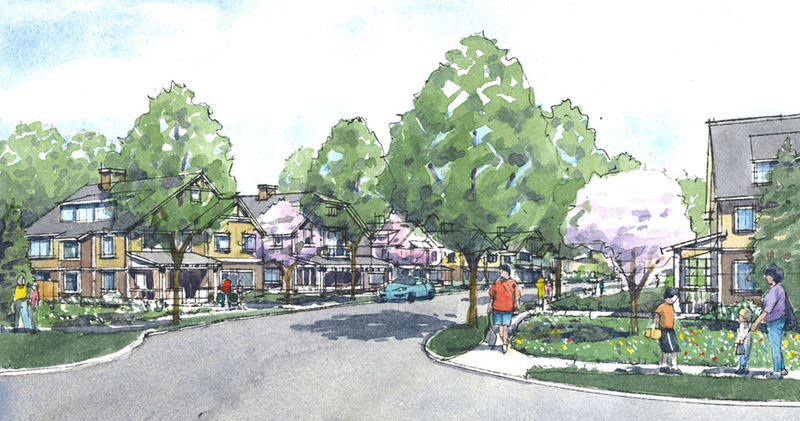 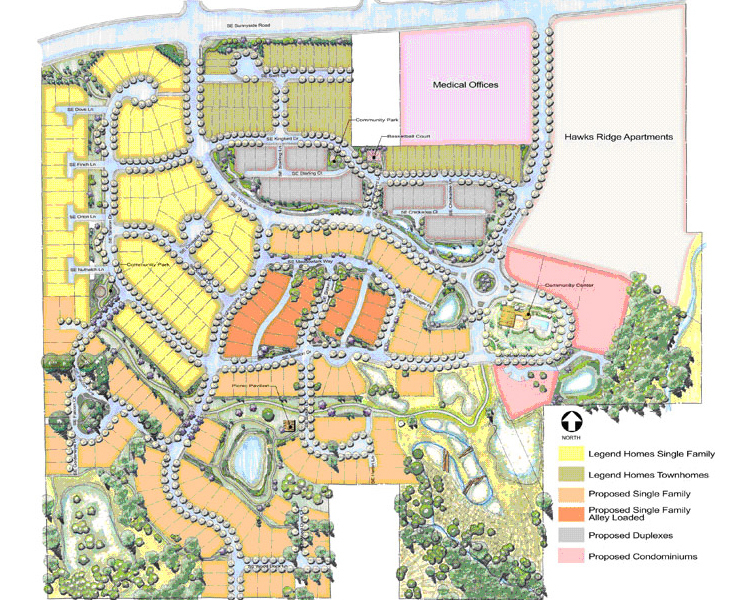 Opsis worked closely with the client to redesign a previously platted subdivision plan to develop a project with a strong sustainable design emphasis. 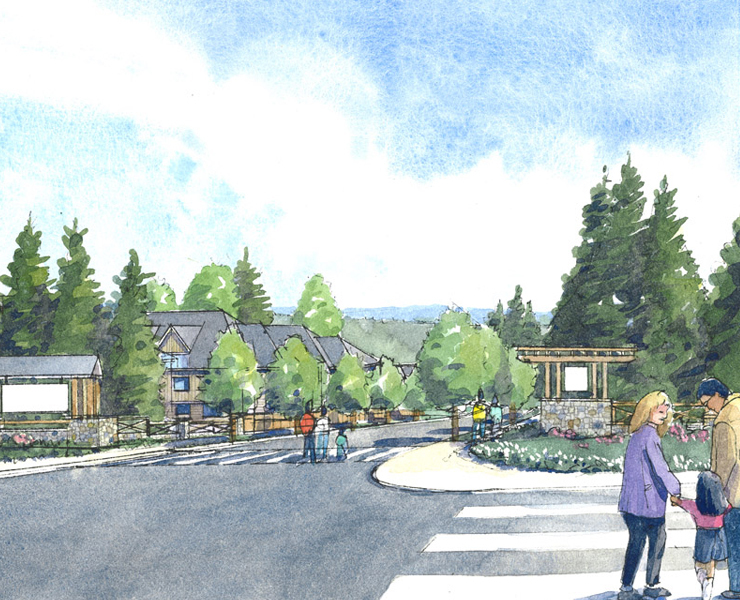 Stormwater will be filtered through bioswales and used to recharge a series of interconnected wetlands that will be a central feature of the community. 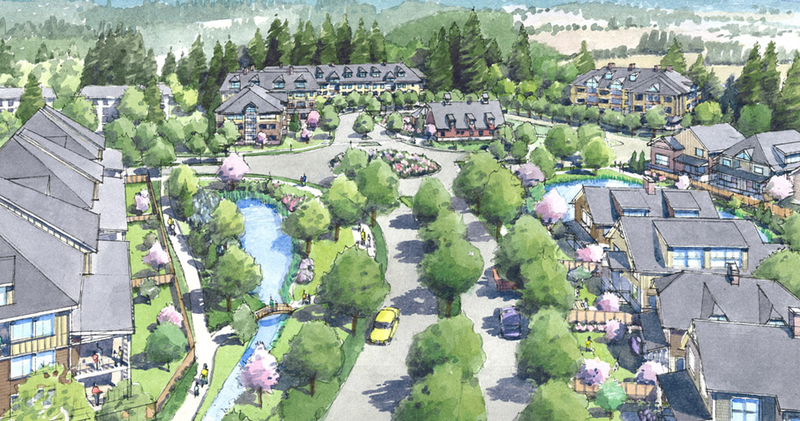 With over 20 acres of open space sloping down to Rock Creek, the community is being designed to preserve many of the existing tree groves and wetlands. 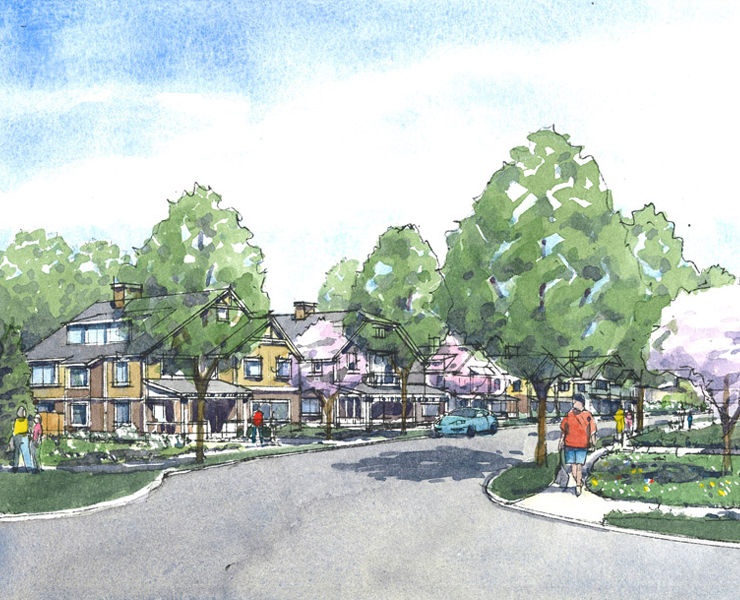 Roads, alleys and extensive walking paths were designed to maximize connectiveness of the community. 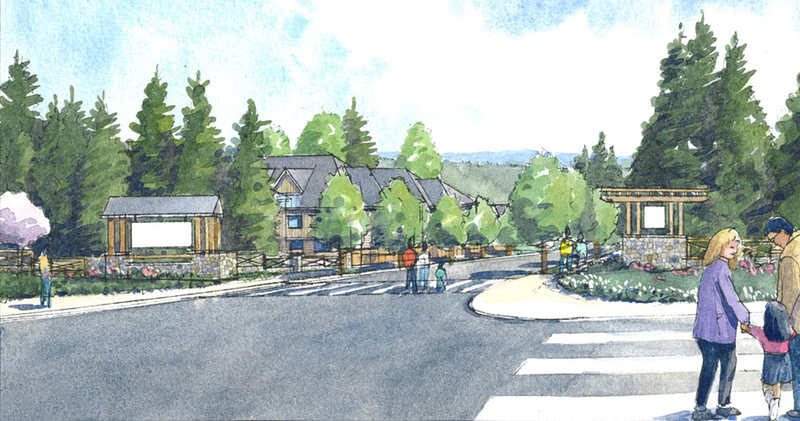 Opsis is providing concept planning for a 70-unit condominium project that will occupy three buildings surrounding the central community open space.